The figure more than doubles the citywide statistic. Whether sipping on a Ballast Point draft or browsing off-the-rack wedding gowns, there’s a significant chance that customers lingering the shops along East Passyunk Avenue are being waited on by women. But, these ladies are working more than the counters. In nearly half of the avenue’s spaces, they’re running the place, as women own 40 percent of all businesses nestled on the mile-long stretch of commerce in South Philadelphia, according to the East Passyunk Avenue Business Improvement District. In honor of National Women’s History Month, the district is celebrating its diverse team of talented females, recognizing 60 different women-owned and co-owned businesses that have contributed to the avenue’s renaissance in recent years. Compared to the rest of the city, the South Philly shopping district surpasses the rest of Philadelphia’s statistics by more than double, as according to a 2016 the Census Bureau, only 18.5 percent of businesses citywide are owned by women. Verdi, a Bella Vista resident, has been in the wedding business since the early 1990s. 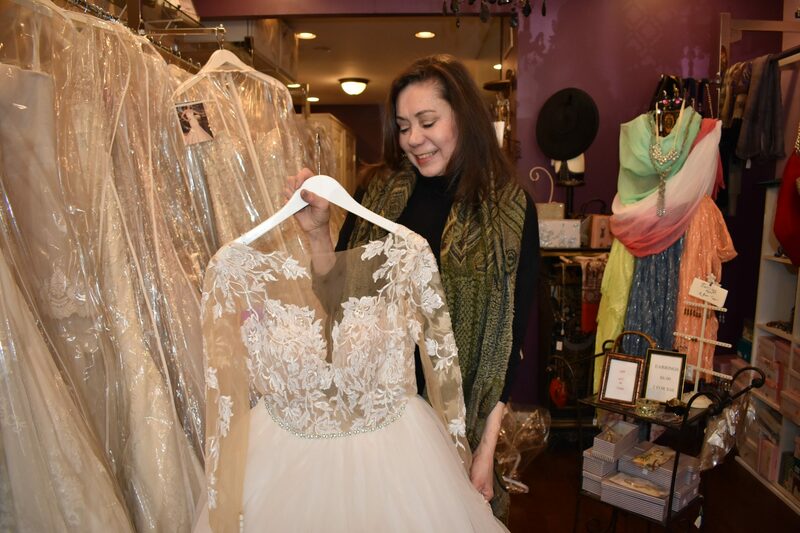 Having collected a scope of nuptials expertise for three decades, including invitation calligraphy and day-of-the-wedding services, Verdi gradually fused all of her flairs vending from the shop on East Passyunk. Featuring a collection of exquisite vintage accessories, Verdi often engages in cross promotions or events with neighboring clothing retailers whose attire complements the boutique’s jewelry. Such collaborations serve as a cornerstone practice of the East Passyunk Avenue Business Improvement District. The business owners attribute this community approach toward sales to both the quantity and success of women along the avenue. Just a few blocks north of the boutique, similar thoughts are echoed at a local bar. 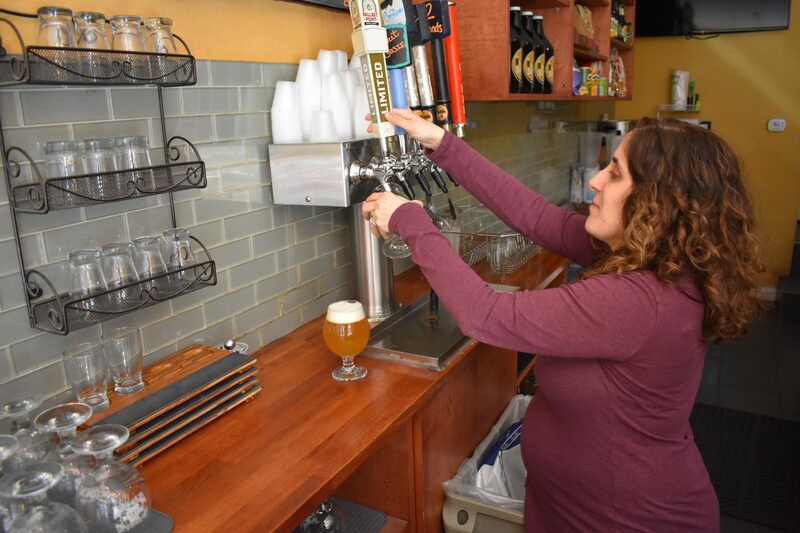 Ganas, whose eight-month pregnancy does not seem to hinder her prowess to pour brews, originally opened the relaxed lounge with business partner Gena Montebello, whom she met during a freshman class at Temple University. Relishing bar hopping just as much as any college student, the pair dreamt of opening their own watering hole one day, breaking stereotypes of an industry predominantly overseen by men. As a South Philly native whose father also owned a shop on East Passyunk, Ganas gravitated toward the avenue, occupying two spaces on the block, as the business eventually relocated to 1616 E. Passyunk Ave. a few years ago. In light of workforce systemic discriminations against females, such as what some see as a gender pay gap, the women credit sincere relationships cultivated along the avenue to the prominent presence of women-owned businesses. St. Monica’s Parish resident Donnamarie DeCotiis, co-owner of Noir Restaurant and Bar, located at 1909 E. Passyunk Ave., says she’s always willing to assist women aspiring to open their own eateries. In 2012, DeCotiis and her husband, an Italian-Canadian chef from Montreal, opened the critically acclaimed restaurant, which features a menu of delights ranging from classic eggplant lasagna to Montreal poutine. Sitting with her 9-year-old niece in Noir, DeCotiis recalls shopping on East Passyunk Avenue as a young girl and seeing women entrepreneurs running several businesses well before the topic became a national conversation. Both Verdi and Ganas shared her thoughts. 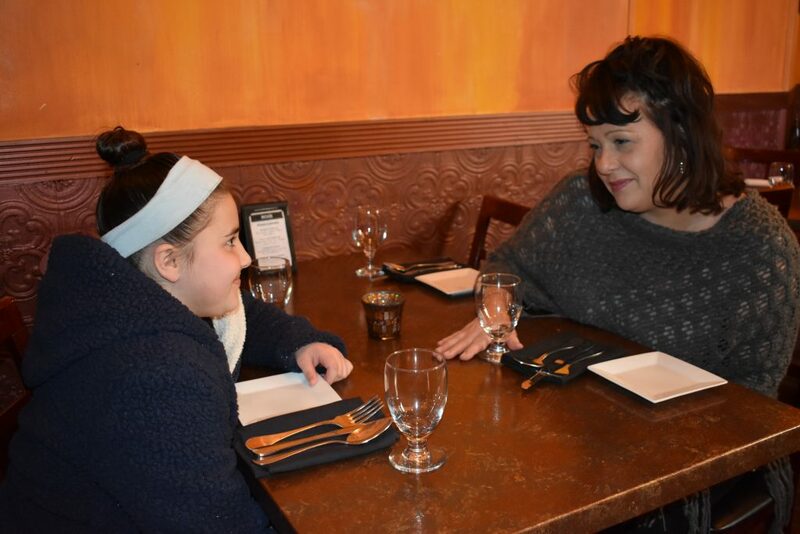 Donnamarie DeCotiis, co-owner of Noir Restaurant and Bar, located at 1909 E. Passyunk Ave., hopes to inspire her nine-year-old niece Ava to open her own business one day. On Monday, March 18, the East Passyunk Avenue Business Improvement District organized a reception highlighting the women of East Passyunk. Hosted at Chhaya Cafe, the event featured a panel discussion with women business owners from the avenue tslking about their experiences, challenges and successes. Ideally, the event, among many others held on the avenue, will further foster the growing network of women who’ve made momentous marks on the economy of South Philadelphia.